The collection of activities teachers provide students during Center Time or Station Rotation can be enhanced with technology, even if there’s only a limited number of computers or tablets in the classroom. Whether you use centers for reading, writing, listening, speaking, or exploration, it’s great to know about online resources that are perfect for independent and cooperative activities. Learn to leverage technology to give learning centers a boost, especially when it comes to setting the course, providing content, supporting creativity, and capturing responses. Tony Vincent shares a variety of resources for K-12 teachers and students. 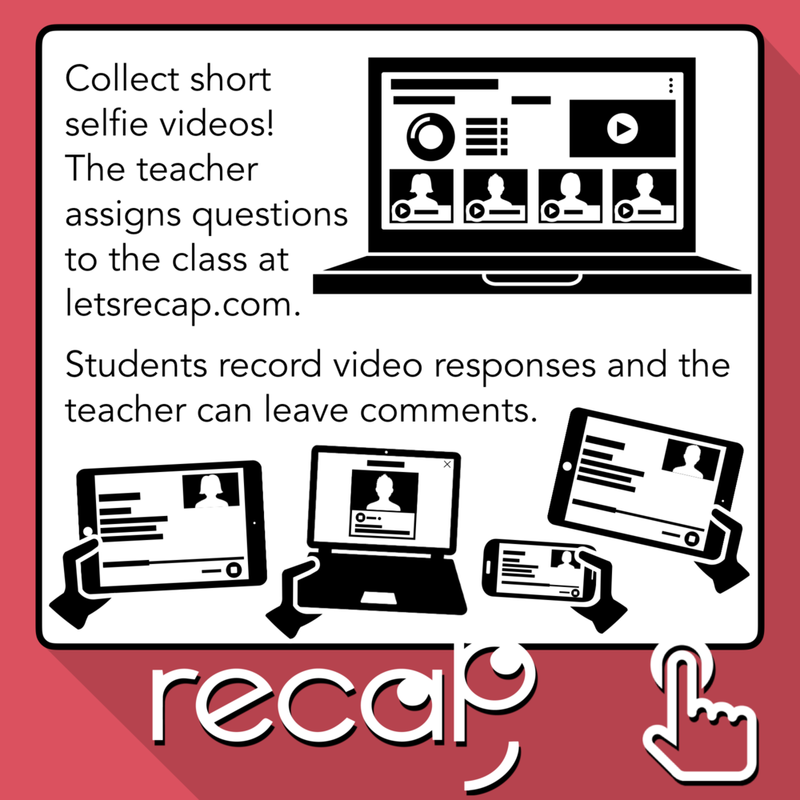 All resources are free, so you can get to retooling your learning centers right away! 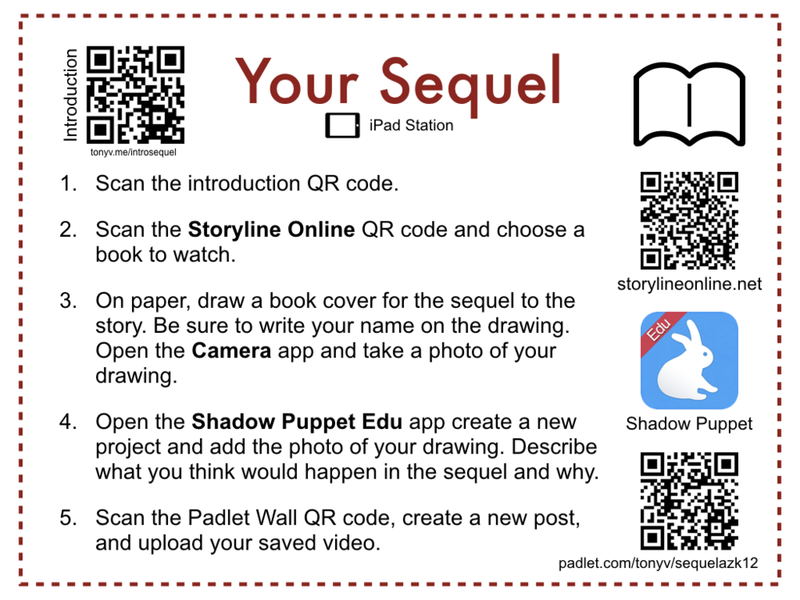 QR codes are great for providing explanations (among many other things). 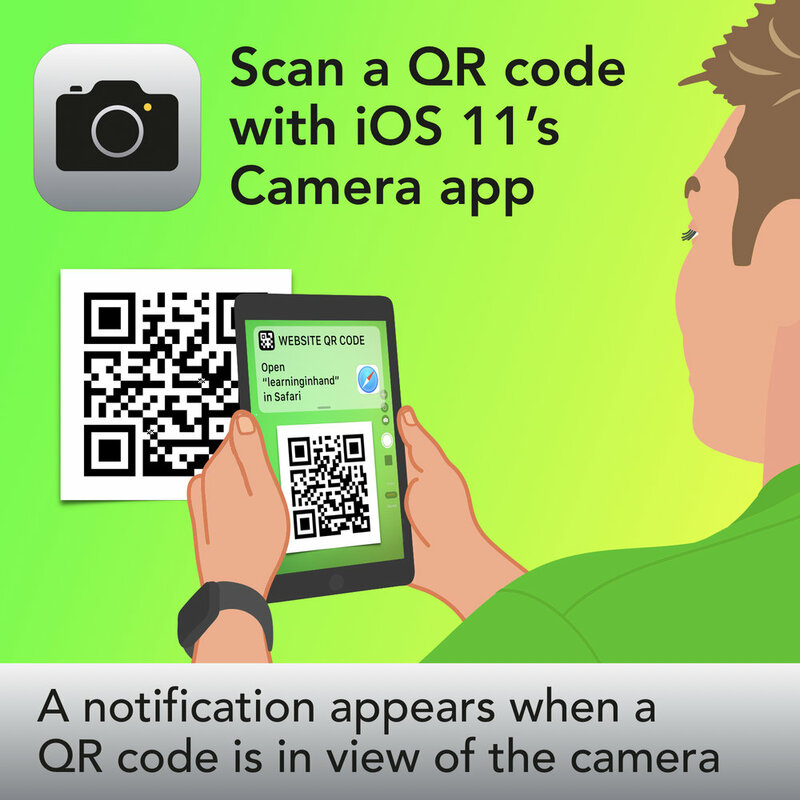 Use the i-nigma app to scan codes and goqr.me to create them. 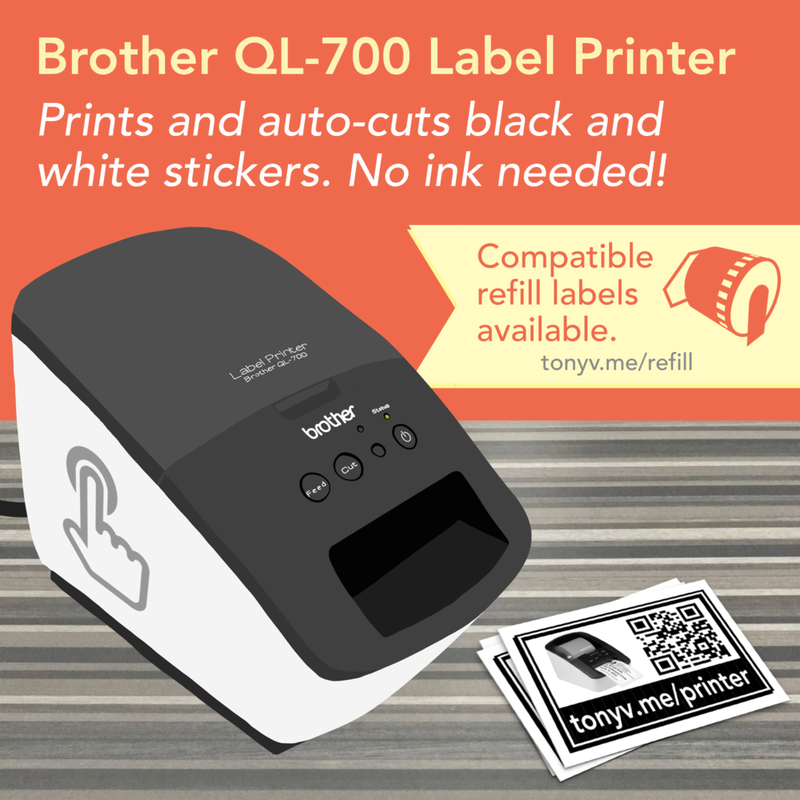 Read lots more about QR codes and watch Tony's video. Click the graphic to view the PDF version with clickable links. Take a screenshot on an iPad by quickly pressing and releasing the Home and Sleep buttons simultaneously. Want to illustrate your task cards? Find black icons at TheNounProject.com and colorful clipart at Openclipart.org. Use Symbaloo or Blendspace to create one web page that has visual links to a collection of web pages and/or videos. Share a YouTube video with Watchkin.com. Paste any YouTube video's URL into Watchkin.com and then get a new link. 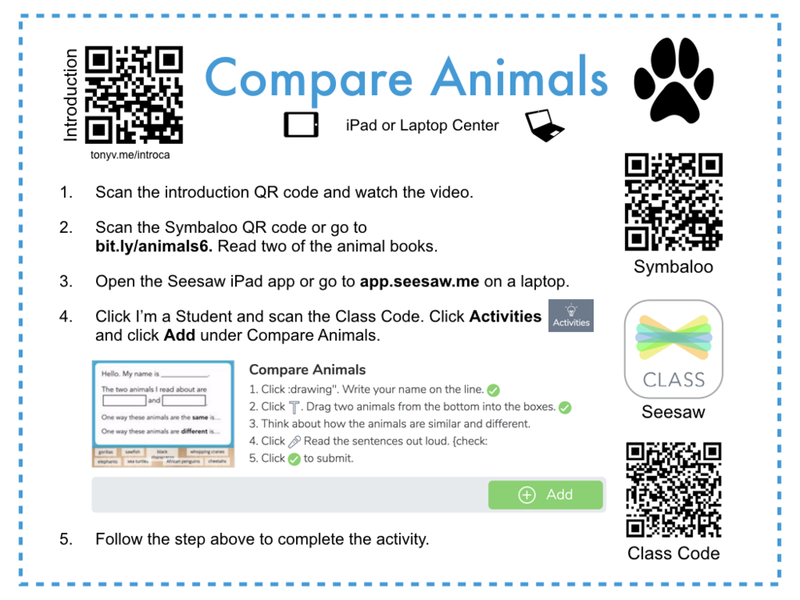 These links work great in a Symbaloo, Blendspace, or QR code. 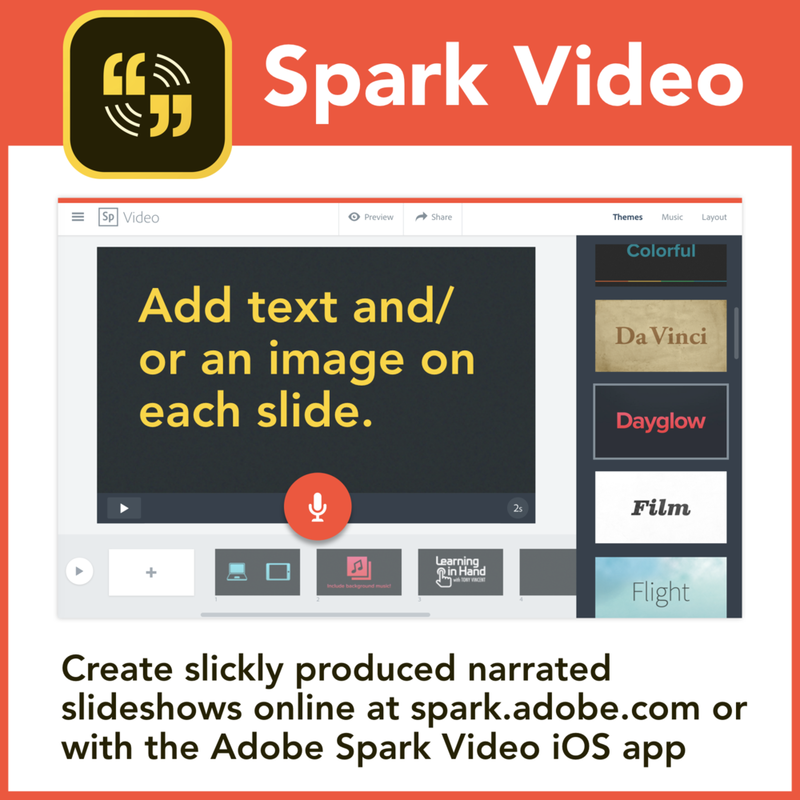 Chop up a YouTube video and turn it into an activity that's perfect for a station using EdPuzzle. You'll need to create your video assignments on a PC and students can view and respond using the EdPuzzle app (after using a Class Code to join). EdPuzzle has a great YouTube channel with helpful tutorials to get you started. Unite for Literacy has simple picture books for students. They can read the words or click the button to have the words read to them in English (and other languages). Storyline Online has videos of celebrities reading picture books. Videos are hosted on YouTube, so you may need to make SafeShare.tv links for the videos. 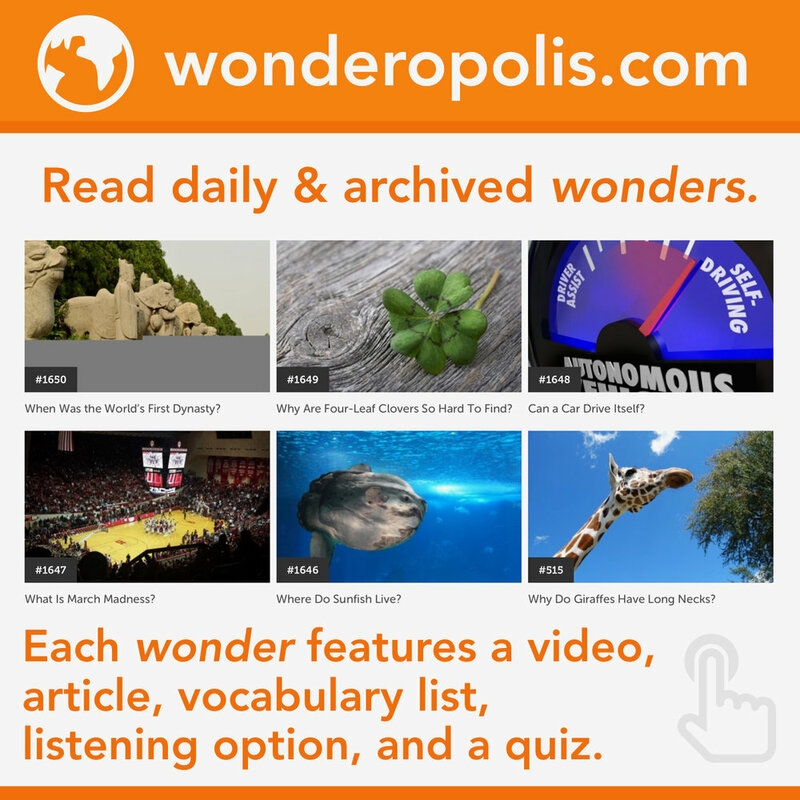 Newsela, Wonderopolis, Tween Tribune and PBS Learning Media are great places for students to experience nonfiction. Looking for an app to provide content at a station? Don't waste your time searching the App Store. Instead, search through curated apps at Participate Learning. Want to copy app icons to paste into your task cards? You can copy or save any app icon from AppShopper.com. Just search for the app and you'll be able to save its icon. 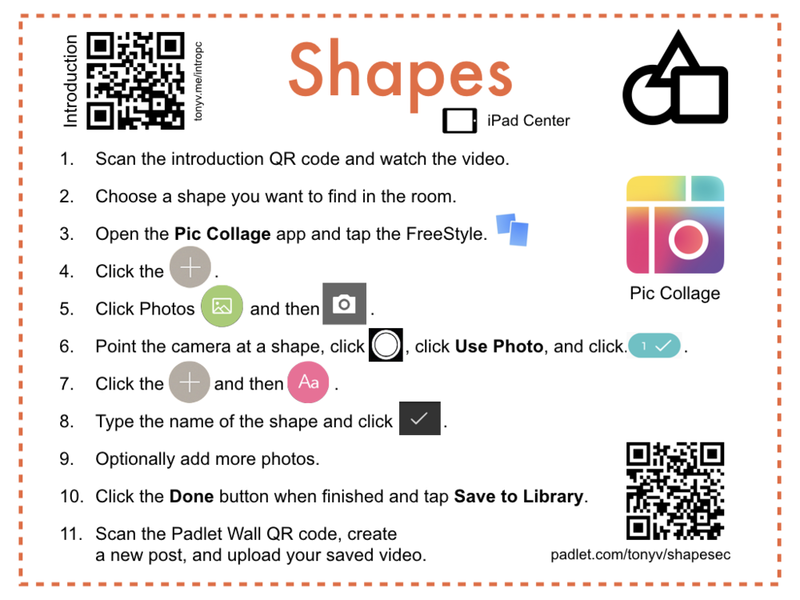 Draw and Tell HD is a free app where students construct a background and add stickers. Then they can record their voice and move stickers to create digital puppet shows and explainations. Want to learn more about Google Forms? Click for Tony's tutorial or search YouTube for video tutorials. Search Amazon for "earbuds with mic" to find cheap headphones with a microphone. These can help cut down background noise in recordings. Buy or construct your own recording booth. You can buy acoustic foam tiles online and adhere them inside of a box. Or, you can make one with styrofoam. Lock students into a single iPad app using Guided Accesss. 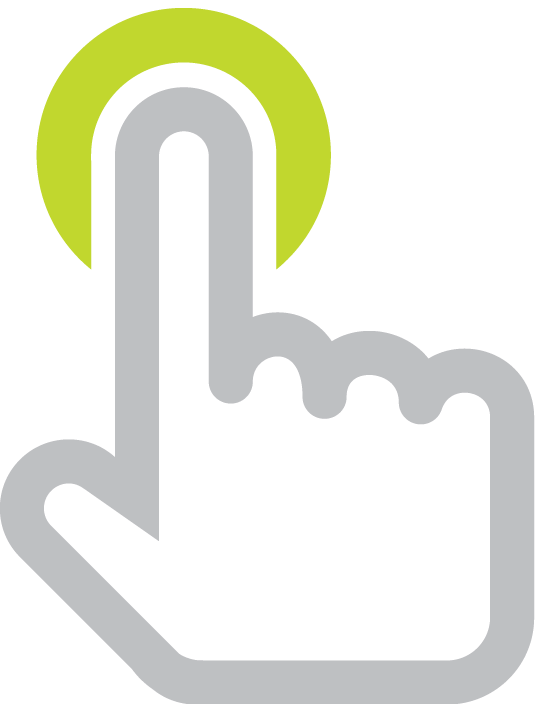 Read how to activate and deactivate Guided Access. 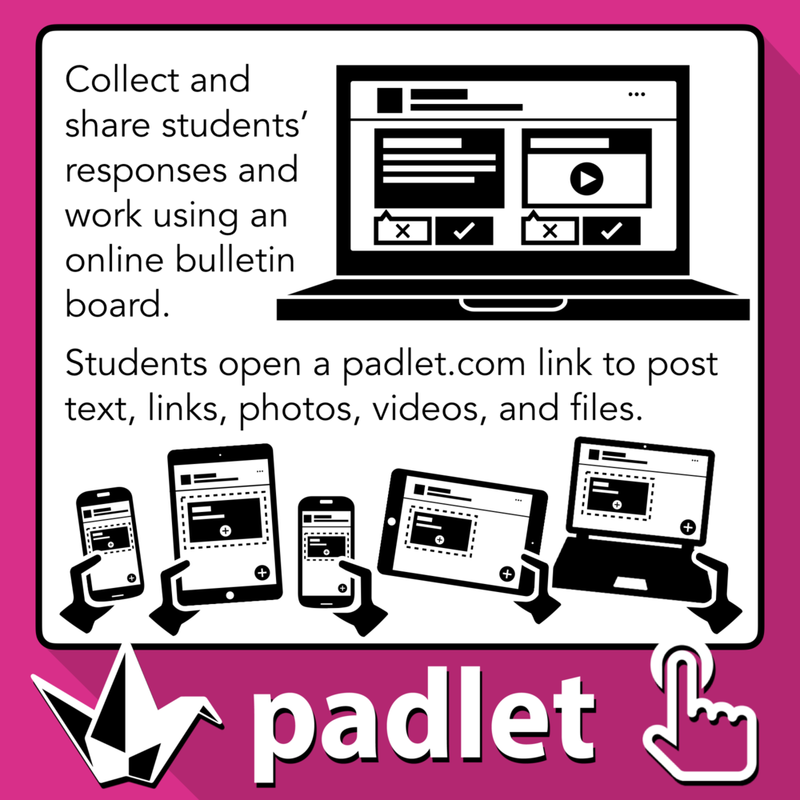 School down to Address and change the end of the Padlet's URL if you plan to have students type in the address. Turn on Moderation so that you can approve posts before they are visible to everyone. Your new wall is ready to go! Send students to its web address. Click ... and choose Share or Embed to get a QR code. Download the task cards above as PowerPoint slides, Google Slides, or as a PDF. You're welcome to take and modify them to make them work for you.